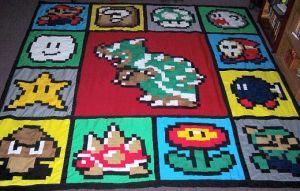 The Mario Quilt is designed by Crafster and has pixelated type icons of Mario, Bowser and others sewn in to it. 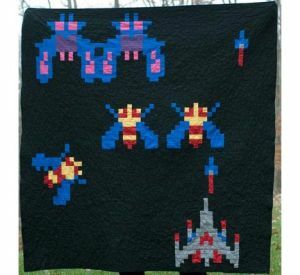 It looks 8-bit style and 1.5 inch squares make up the 8′ x 8′ sized quilt. The Eveal Shadow Projector creates the impression of sunlight streaming in to your house by projecting an image of the out doors (looking through a window) on to any internal wall. The image is animated and the branches of the tree’s sway in the breeze. However, it does cost $380 which seems a bit crazy to just change the ambient mood of your room. It seems like a good number of years have passed since the test pattern was used on TV. Due to advances in equipment such as digital signalling, better televisions and most TV channels broadcasting 24 hours the requirement for test pattern is just not there any more. 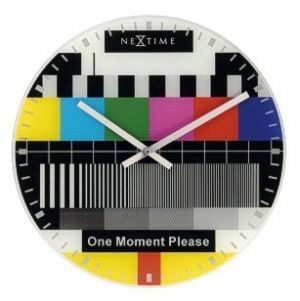 So go ahead and pick up one of these Test Pattern Clocks to bring back the memories. Money is here for quite a bit longer yet and therefore, we all need a money miser. Most of you will have a ton of loose change kicking around your pocket or in a shoebox somewhere in the house. What the Money Miser does is sorts out all your coins in to neat wraps. To get it working you just put some empty wraps in the bottom of the machine and chuck your coins in the top. The Money Miser then sorts through them to put everything in order nice and cleanly. 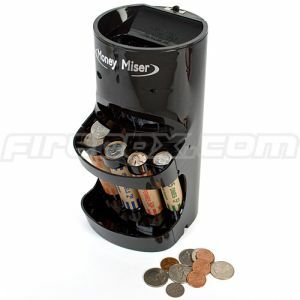 The Money Miser costs $14.95 for the machine it’s self, or $19.95 with a box full of money wraps. 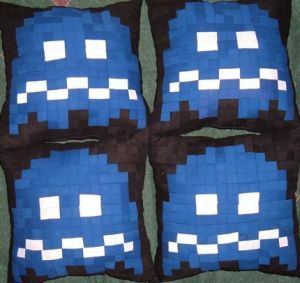 These pillows have Pacman ghosts on them. 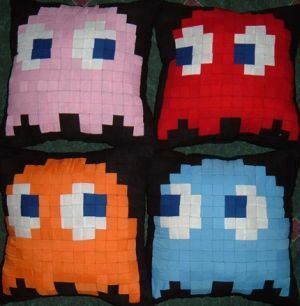 They are pixelated to give them the old 8-bit effect and come in various colours. The whole set costs $90 (£45 in the UK) with which you get 4 pillows of Inky, Blinky, Pinky and Clyde (I never knew they had names). It appears from the listing that when you flip them over they go in to the mode where you can eat them and they look like this below. Unfortunately there is only 1 of this collection in stock at Etsy. Hopefully they will sell more in the future. Sun and Moon Jars are a unique way to create some nice warm lighting in your home. 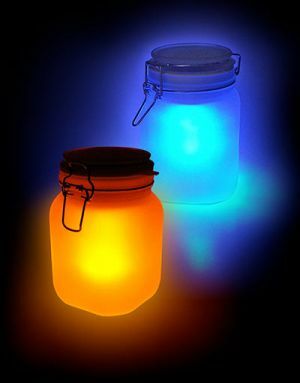 Each jar features a solar cell with rechargeable battery which can power the low power LED lamps for several hours. When placed in sunlight the batteries will charge allowing the glow to shine at night. The jars are frosted allowing the light to be diffused and look more realistic. There are no switches or controls for the lamps as they feature light sensitive switches inside which switch the LED’s on and off when needed. However, if you really really want to switch them off then you can flip the lid and switch them off manually. If the battery gets worn out over the years then you can replace it with another rechargeable AA battery. The Sun and Moon jars cost $29.99 – $34.99 each and are available below. 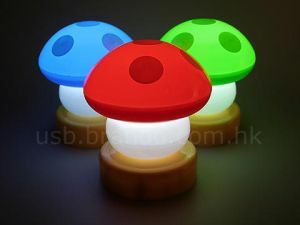 These USB Mushroom lamps are a perfect way of lighting up your computer desk. 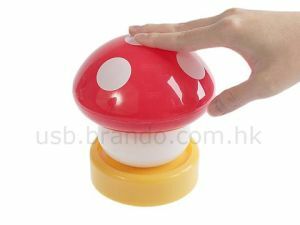 They are designed just like the mushroom’s from the famous Mario games and are powered by USB from your computer. 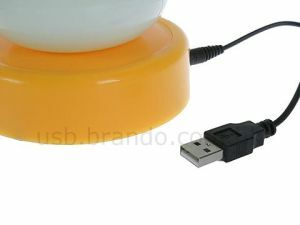 If you do not have a USB port, or do not even have a computer then these lamps can be powered by batteries also. 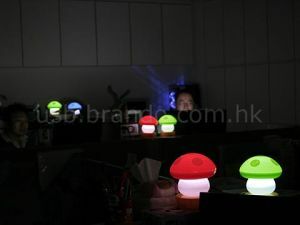 Costing just $13 you get some quite cool ambient lights for your office. If the A-Team celebrate Christmas then they would use these camouflage Christmas tree decorations. They are built from glass and designed by Alexander Malinovsky. 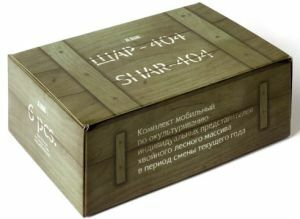 They also come packed in a crate type looking box to keep them safe while shipping them. Costing around $25 you get 6 in a box. Although not too gadgety, I know every reader here enjoys a nice breakfast and this is the reason I post this 😉 Random-Good-Stuff describes it as Breakfast 2.0 and it certainly is different to other cereal bowls you have seen before. The concept behind this revolutionary breakfast bowl is forehead-slappingly simple. A removable shelf covers 70% of the bowl’s base, holding the cereal above the milk. All you have to do is eat your cereal from the shelf-less section of the bowl where the cereal and milk meet, pushing the cereal in as required. Brilliant! If you remember computer games from donkeys years ago you will probably know of Galaga. It was a great game which ran in 8-bit glory. If you are not that old then you should still remember it as it was often bundled in to Namco games such as Ridge Racer when loading up on the PS1. – Approximately 60″ square. 60×60-pixel resolution. – Made from 100% cotton fabric and batting (Z80 processor not included). – Machine wash cold, tumble dry low, and avoid diving enemies at all costs. – Pieced and quilted by machine in smoke-free, pet-free, and geek-friendly home.